The Museum of Westward Expansion gets harry! Okay so after traveling up the Arch, I drug my daughter the museum that is under the Gateway Arch which reflects St. Louis’ role in the Westward Expansion of the United States. 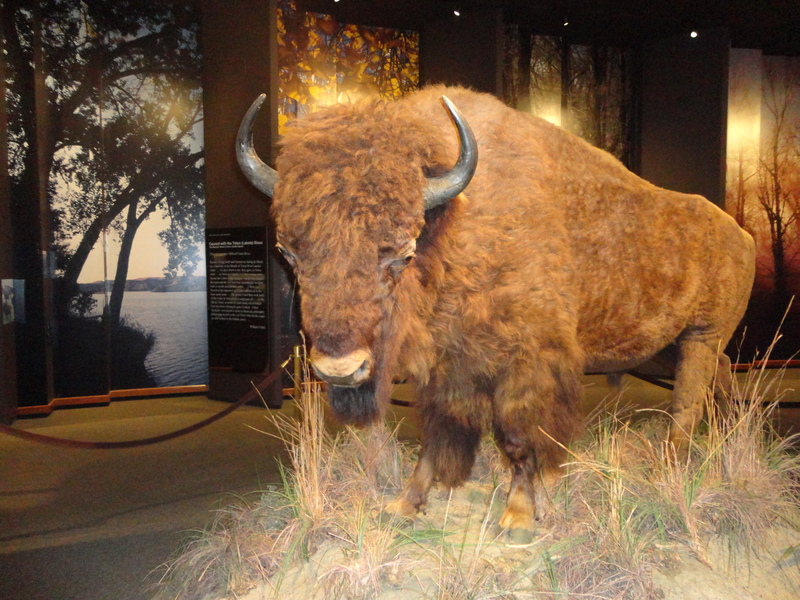 Part of this cool museum is an array of wildlife that Lewis & Clark would have found as they proceeded west one was this ferocious looking buffalo. Reading about the animals and seeing them up close and personal are two different things. I was glad this one was not moving and standing still. There is a buffalo farm not far from where I live, but somehow they don’t appear near as daunting from my car window. Check out the museum and enjoy some harry and harried fun! Hey there! I just wish to give you a big thumbs up for your great information you’ve got here on this post.